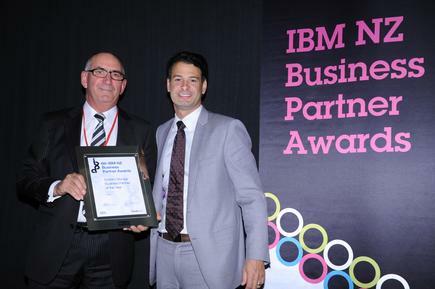 Gen-i was the best co-marketing category winner in the sixth IBM business partner awards. appointments and 109 short- to long-term opportunities, with sales opportunities in excess of $3,000,000. The programme had to be shortened in Christchurch due to a higher than expected uptake on the offer. On aspect that added to the success of the project is that the telemarketers were highly skilled in gathering information. And once a prospect showed any interest, they were immediately contacted by a Gen-i sales specialist to take over. This rapid response went a long way in advancing the engagement. In addition, Gen-i was able to significantly improve its contact lists for future contacts. Gen-i will be continuing this campaign– which represents almost all of their IBM co-marketing funding - this year. This is a straight-forward campaign designed to do one thing: bring in qualified leads that result in sales. And it worked. The company was recognized for the award at an event on October 18 in Auckland, run in association with Reseller News.